6 Foods To Avoid For Healthy Life: What Do Nutrition Experts Say? Food nutrition experts are the best people to judge what others should eat and what foods they should avoid at any cost. Real nutrition experts have seen and read real-life cases related to eating the wrong foods and facing its repercussions. 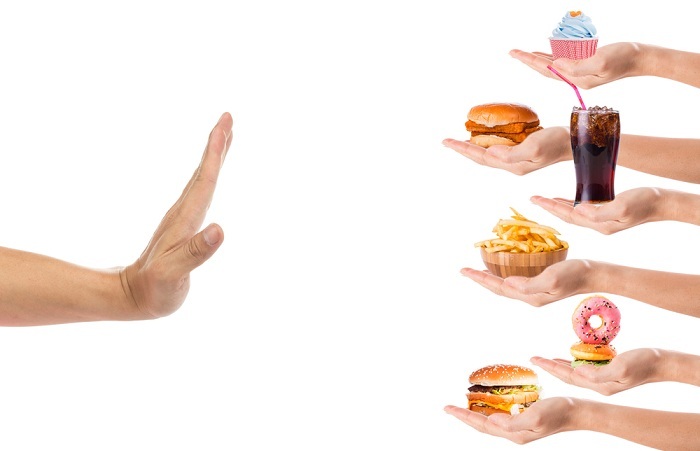 A majority of people know the type of foods that they should typically avoid for a healthy life– canned foods, salty and fried foods, processed foods, sugary products and fat-rich dairy. However, nutrition experts often have a different take on what food items people should actually avoid. When it comes to food nutrition experts, they not only focus on the nutritional value of the respective food item, but also the person who handled the item, the ambience in which it is served, the level of rawness and the cooking method used to prepare the item. For example, everyone knows that munching on raw sprouts has several health benefits. However, only a nutrition expert will be able to tell clearly how it can carry several foodborne illnesses with it. Several foodborne illness outbreaks have been associated with raw sprout consumption, which were contaminated with Salmonella, Listeria and E. Coli. However, there is no harm in consuming well-cooked sprouts. According to food nutrition experts, consumption of undercooked or raw meat is a big no-no. Raw meat harbours a number of bacteria. Although a majority of these bacteria are good and actually help with breakdown and digestion of muscle fibres, the others are still harmful and may cause several types of foodborne illnesses. While steak can still be enjoyed medium rare, food nutrition experts advice to cook all types of ground meat thoroughly. This includes beef, pork and poultry, no matter whether it is organic, grass-fed or local. Sushi is a form of uncooked fish protein, which carries a risk of foodborne illness with itself. On the other hand, a well-cooked, steamed or sauteed fish is always better as all the bacteria gets killed during the process. While safe consumption of fish makes sure that you are far away from any kind of illness, eating raw fish in the form of sushi carries certain health risks. People may or may not suffer from foodborne illness after consuming sushi. Similarly, raw oysters may taste awesome, but they can be infested with harmful bacteria that are difficult to detect through sight or smell. These harmful bacteria can be killed only through heat, therefore, it is important to cook oysters until they turn milky white before consuming them. It is always better to cook popcorn traditionally, rather than to cook them in a plastic microwave bag. The lining of ready-to-microwave popcorn bags contains a number of harmful chemicals, including perfluorooctanoic acid (PFOA). This chemical accumulated over a period of time and has been linked to infertility and an increased risk of certain cancers, including liver, pancreatic and testicular cancer. Milk derived from dairy cattle injected with artificial hormones is bad for health. Dairy cattle is often injected with recombinant bovine growth hormone to boost its milk production. Injection of artificial growth hormone does boost milk production, however, it also increases the chances of infection in cattle and contributes to pus in milk. In addition, it has been associated with a release of hormone that escalates the risk of certain types of cancers in humans if they consume artificially-produced milk. Gluten-free products are naturally healthy and free of fat and calories is a big myth. In fact, such products are often rich in sugar and fats, than their competing, traditional counterparts. Therefore, those who think that they can lose weight by switching to gluten-free products should better stick to their traditional diet, as gluten-free items would do more harm than good. Fat-free mayo and dressings are often filled with sugars-based fillers and other harmful ingredients, including preservatives and vegetable oils. If you have switched to fat-free mayo and dressing because you are getting fat, then you should know that these two products will only make you gain calories. Plus, it can affect your gastrointestinal tract, leading to inflammation and increased risk of heart disease and craving for food.